It's the old Frog one, with more flash added? Yes indeed. An extra helping of Flash in fact... enough to feed a whole family. 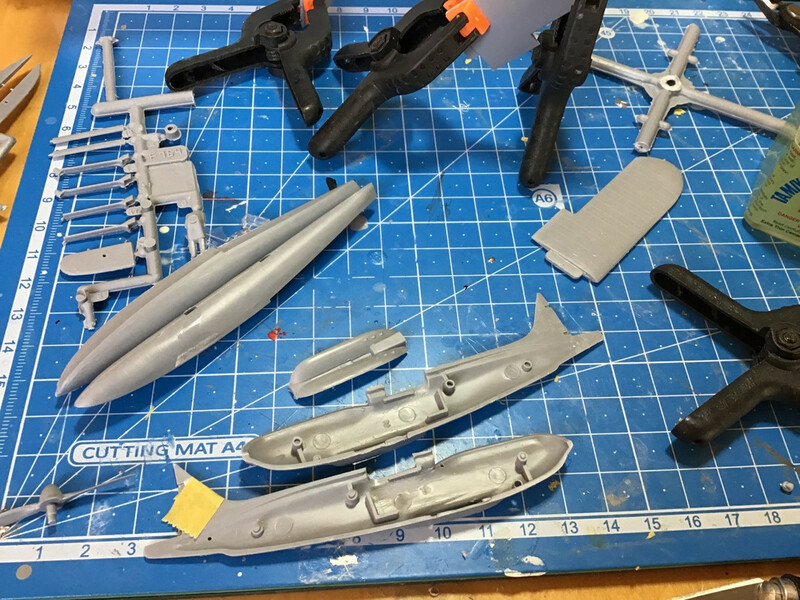 Ah, I had already an eye on this kit for the GB, too, but eventually refrained due to the mold quality... Good luck, I am curious what becomes of it. 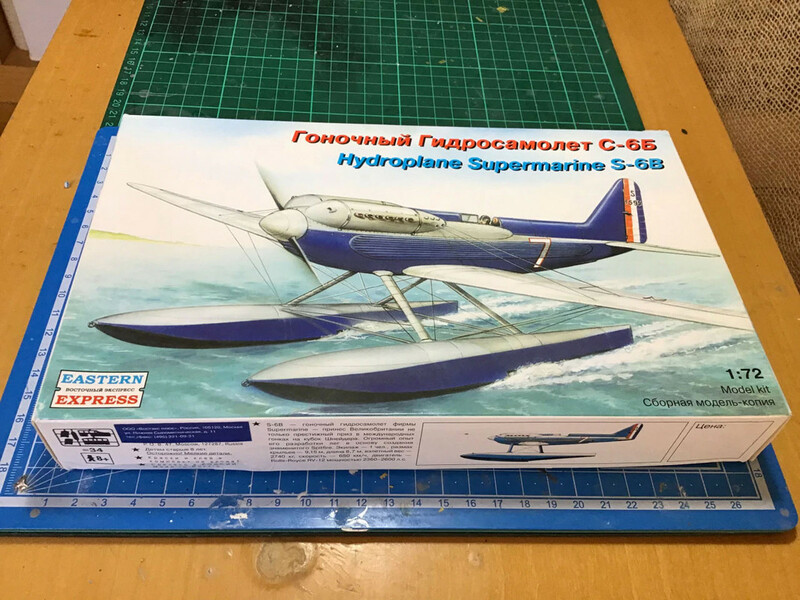 In its time the FROG S6B was a much better kit than the Airfix one, but it deteriorated a lot faster sadly. I just picked up the Airfix one, might be the first model I ever built many moons ago. I'll be interested to see what becomes of yours. Oooh, tantalising! I'm keen to see what you make of this - an upgraded S.6 sounds like fun. Thanks for the boost, gents. 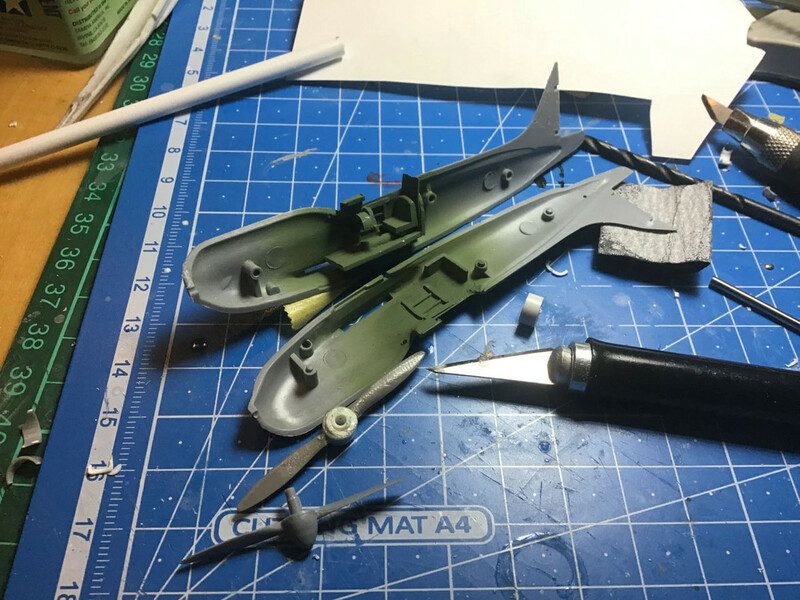 I’ve started (unsurprisingly) by scratching up something that looks vaguely like a cockpit. I’m still deciding what modifications to incorporate, so if anyone’s got a brilliant suggestion, I’m all ears! How about a contra-prop ? Ok... we're on the same wavelength. Given the speed records set by the Macchi M.C. 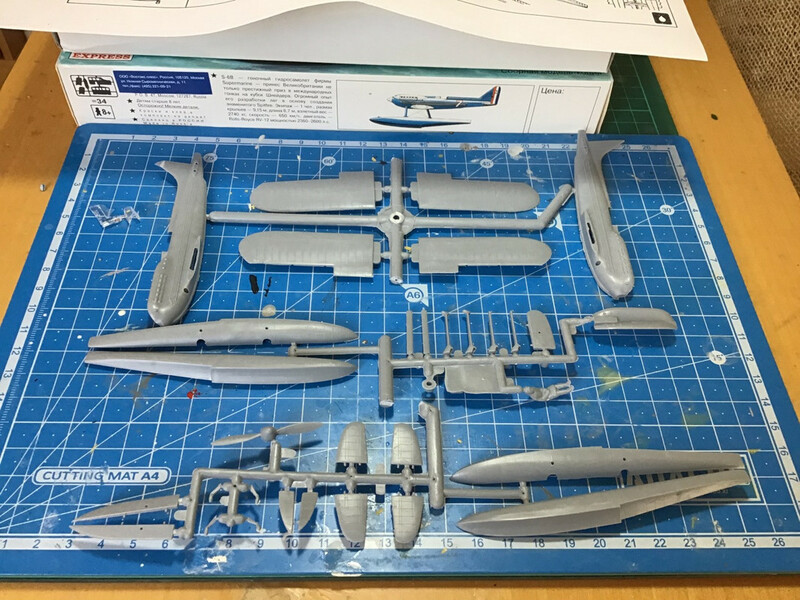 72, the counter-prop seems to be the most obvious (visible) difference I can make. I was also thinking about changing the tail design a bit... mainly just for fun. Contra props would be good. If you don't happen to have one, a 5 blade prop would be different. What did the S-6B have for radiators? The S-6s had tubes built into the wing surfaces and along the fuselage so that the glycol cooling liquid could be cooled in turn by the air flow. Not a recipe for a long endurance flight, but OK for the Schneider Trophy. All late Schneider Trophy designs featured surface evaporation cooling, as Kit mentioned, integrated into the wings, fuselage flanks and also into the floats and their struts. Got a bit more done. 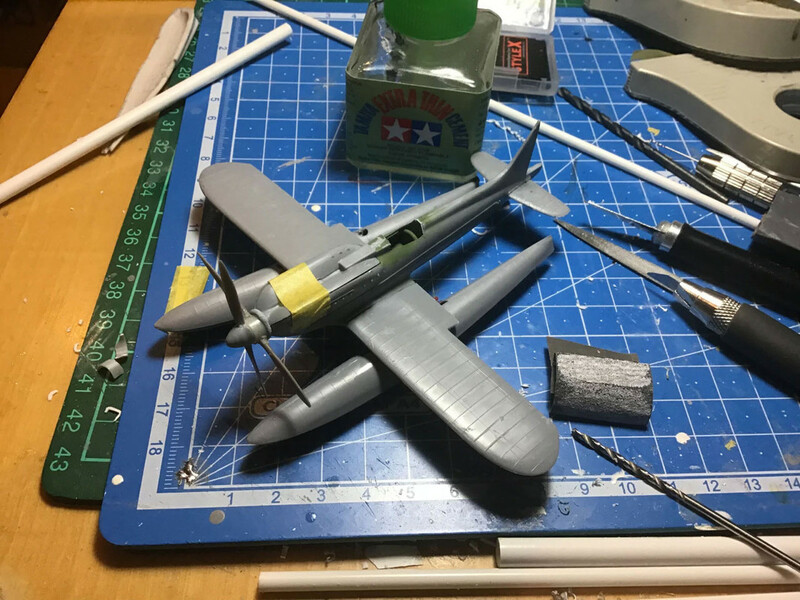 I probably should've spent more time on the cockpit, but I know how much work is coming for the fuselage, so I sort of chickened out. Once the windscreen is in place it'll be hard to see inside since these racers have such small cockpit openings... right? Anyway, I decided to paint the cockpit green... it's pretty rough, but good enough I think. 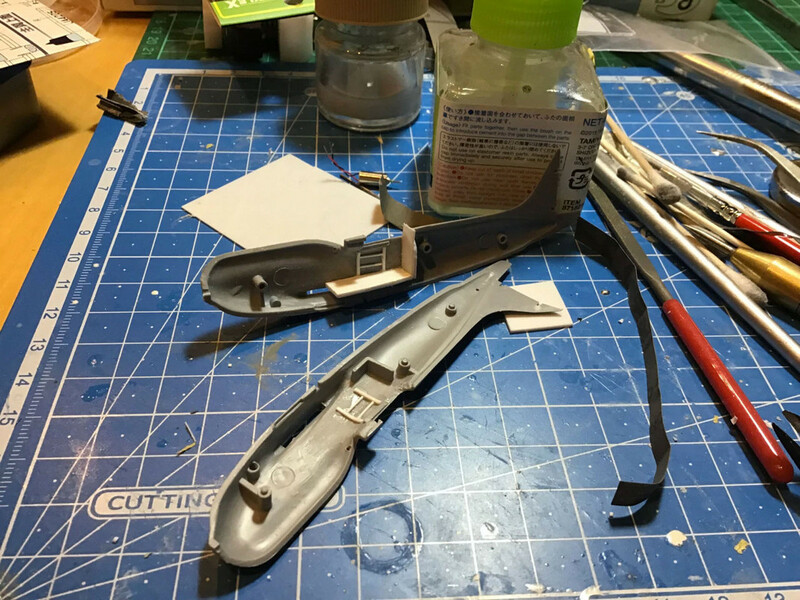 I also scratched up the second (counter) prop using something similar (leftover from my Ki-10 Perry) and a few bits of polystyrene tubing. 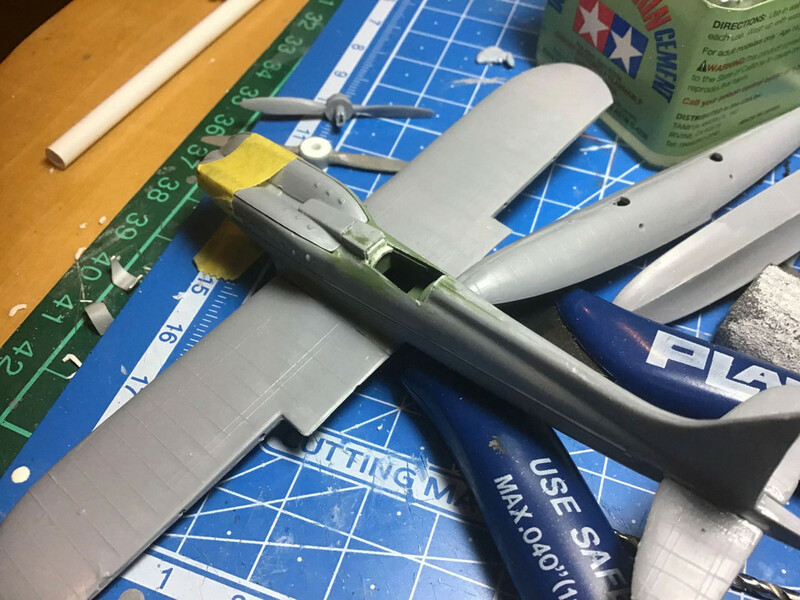 After I was able to glue the fuselage and the wings together, there were a few bits and pieces that needed to be added to the cockpit from outside. I left the engine hatch unglued for the moment as the props still need a bit of fiddling into place. Counter props stuck on temporarily with blue tack. I just put it on top of the floats for imaginary purposes. The tubes on the fuselage were the oil cooler.